Naxos has a great variety of different landscapes offering stunning vistas. Nowhere else in the Cyclades could you find lofty mountains, fertile valleys, plateaus, springs, rivers, caves and endless beaches. Naxos is the well-kept secret of Cyclades with charming hotels and numerous restaurants serving local cuisine. 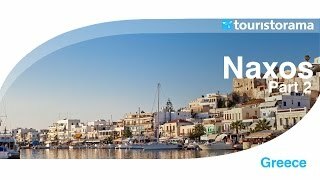 Each visit in Naxos, the largest island of the Cyclades complex, is a challenge. 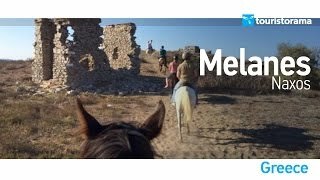 All archaeological sites and monuments show the course throughout history and are of course extremely interesting. 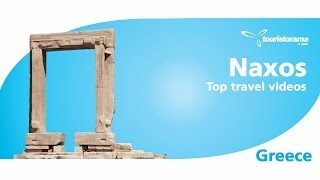 Naxos is a destination that covers all tastes and “wallets”. There you can find various hotels, room, apartments, taverns, restaurants, sightseeing and beaches. One of the most common sports is windsurfing, as Naxos is a windy place, with the summer wind called “meltemi” reaching up to 5 Beauforts during the day. In this beautiful island you can find many beaches for all levels (beginners, intermediate, advanced, experts) and all categories (slalom/speed, wave, freestyle, free ride). The beaches of Amiti, Ai Giorgis and Agiaso are ideal for wave sports. At the lagoon of Ai Giorgi you should try out slalom windsurfing and freestyle. At the beaches of Ai Giorgis, Plaka and Mikri Vigla are operating sports centers with modern equipment for those you want to learn all secrets of sports. Note down that kite surfing is prohibited at the beach and the lagoon of Ai Giorgis because of the close distance of the airport. Mikri Vigla is an international meeting point of windsurfers and kite surfers. For those who prefer water skiing, wakeboarding, banana and tube activities, the ideal place is Ai Giorgis and Plaka beaches, where you can rent equipment and enjoy every ride. Naxos is an island where you can see various landscapes and roads great for mountain biking and road cycling. Naxos is the island of Gods. Dionysus, Apollo and Zeus were worshipped here as archaeological evidence indicates. 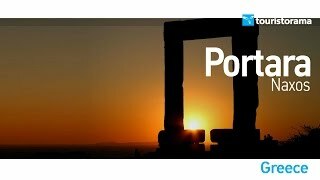 Close to the port of Naxos, on the tiny island of Palatia (Dia) you can still see the remains of a marble gate about 6m high and about 3,5m wide known as "Portara" by the locals (meaning big door). It is part of a marble sanctuary of Apollo built during the 6th century B. C.
The island of Naxos plays a key role in history after the fourth crusades as it goes under Venetian Occupation. Naxos is the centre of the Duchy of Naxos, a Venetian colony created in 1207 by Marco Sanudo, the nephew of the former Venetian doge Enrico Dandolo. The Venetian and Catholic influences are obvious till today. According to Greek mythology, Zeus was born in Crete but raised in Naxos and from that fact the tallest mountain of the island was named from this Greek god. Also, Theseus abandoned the princess Ariadne of Crete on this island after she helped him kill the Minotaur and escape from the Labyrinth. The island named after the legendary first ruler, king Naxos. Some researchers support another opinion, where the name Naxos came from an ancient Greek word that means sacrifice, as in the island took place many sacrifices for honoring the Greek gods. 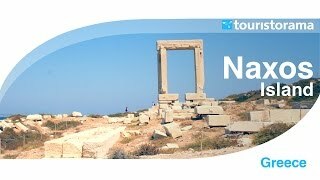 Naxos lies in the heart of Aegean Sea and is the largest and most fertile island in the Cyclades. Everything is big compared to the rest of Cycladic islands. Mount Za is the highest in Cyclades with 1004m. altitude. Naxos spans an area of 429.785 sq. km. with a total population of 18,188 residents. The islands closer to Naxos are Paros on the west, Donousa on the east, Mykonos on the north and Schinoussa on the south. The coastline of Naxos is 150 km long and it has beaches can be both sandy and rocky. The tallest mountains of the island are Zas (1004m) and Fanari (908m). The sandy beaches scattered around Naxos make it an ideal island for nature lovers, but the real Naxos lays in the mainland and the villages up in the mountains. Most of the villages are picturesque and have excellent local cuisine and lovely cafes with amazing view. Apeiranthos is a pretty village on the slops of Mount Za at 650m altitude and a visit there is a must during your stay in Naxos. Enjoy the sea at the various beaches of the island. If are fond of fishing, Naxos is the ideal island. Also, try out lovely excursions at the nearby islands, such as Dilos, an island known for its history. In Naxos, there are plenty of festivals organized every summer. The Municipality of Naxos organizes cultural, art festivals and the wine festival of the island. Also, inside the Venetian Castle special events are organized inside the cellar of the tower. In Naxos, you can find agricultural product and products from local farmers. The citrus liqueur of Naxos is widely known for its unique taste. Also, Naxos is known for the cheese production, such as the “graviera”. Because of the fertile land of Naxos there are many local products you can try like olives, olive oil, wine, fresh fruits and vegetables, lots of kinds of cheese, honey, meat and the famous local potatoes. Agia is located on the north side of the island. Agia Anna is located near the beach of Agios Prokopios. It has a sandy beach with a picturesque small port. 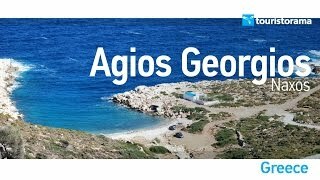 Agiasos is a quite beach with crystal, blue, shallow waters, which is enclosed by small green hills. Agios Arsenios is the largest village of Naxos in population and in size. The name of the village comes from the small church in the area. 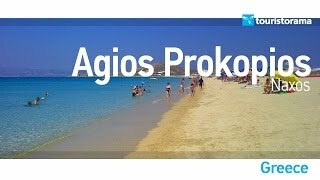 Agios Prokopios is considered one of the best beaches of the island and perhaps of Greece. Agios Thalalaios is a small village of Naxos, part of the municipality of Melanes. Akadimi is a small mountainous village in Naxos and is located near Chalki. 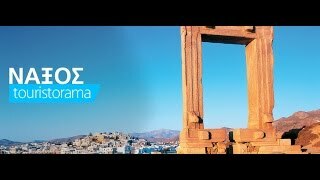 Ano Potamia is located at the central part of the island of Naxos, almost 10km from the Chora, the capital of the island. Apollonas is a touristic destination with many taverns and cafeterias. The capital of Naxos is called Chora. It is the largest town of the island and the main harbor. 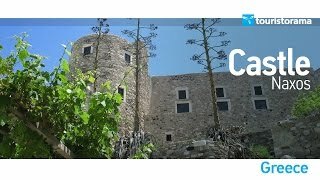 Filoti village of Naxos is located at the foot of Mount Zas at an altitude of about 400 meters, and 19 km. From Chora. Built at an altitude of 500-600 m., between two slopes, Koronos is one of the most impressive mountain villages of Naxos. The beach of Mikri Vigla is located in the southwest part of Naxos and is considered one of the most beautiful of the Aegean. It is sandy and stretches for about one kilometer, while the water is clear blue and deepens sequentially. Mikri Vigla beach is organized. Moutsouna is a tourist destination located on the east coast of Naxos, and has two beaches, that of Ai Giannis and Tigani, both with fine sand and transparent waters. 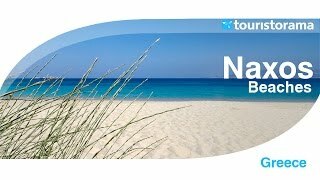 The island of Naxos is reknowned for the splendid beaches. Plaka is one of those, and a real pole of attraction for tourists due to its clear blue waters and golden sand. The beach of Plaka extends in many kilometers and though it is an organized one, it is very quiet as well. Tripodes is a settlement of Naxos, which is also called Vivlos. One of the best hotels in Naxos, hotel Naxos Palace is a guarantee for a wonderful accommodation!